On June 7, 2015 family members reported 81 year old June Smith as a missing person. 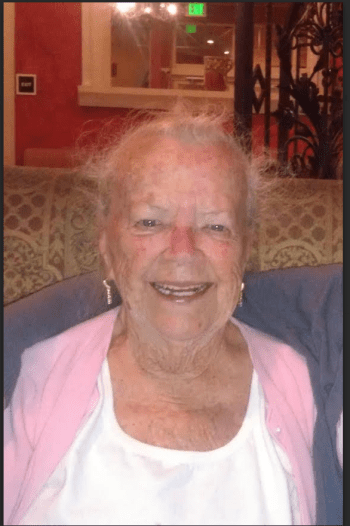 June was last seen on June 5, 2015 at 1100 hours when she left a family member’s residence in the Garden Valley area to start her drive home to Gold Hill, Oregon. June has traveled between these two locations multiple times but suffers from severe health problems which has raised concerns as to why no family has been able to contact or locate her. June has a cell phone that appears to not have been on since the time she was last seen. June is a white elderly female, 4’9″ tall, about 125 pounds with blue eyes and shoulder length grey hair. June was last seen wearing white capris, a pink shirt and white Keds shoes. June was driving her 2007 white Dodge Caravan with an Oregon license of “361DNN”. Due to the circumstances surrounding June’s disappearance, a Silver Alert was activated on her behalf. Anyone with information about June Smith is asked to contact Detective Gallagher at 530-642-4720 or EDSO Dispatch 530-621-6600​. Please reference case number EG15-4881. 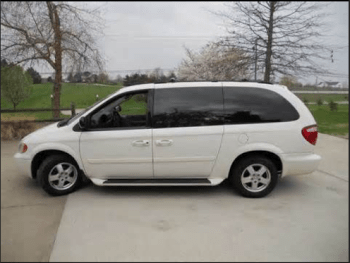 The following is a recent picture of June and a picture of a vehicle similar to the one June is driving.